Nestled amid 360 acres of amazing California landscape, two unbelievable 18-hole signature championship golf courses, and calming bubbling streams, the Westin Mission Hills Rancho Mirage is your answer to the perfect getaway. SellMyTimeshareNow.com has plenty of listings in our inventory at up to 70% off the developer price. An escape to the Palm Springs area is an escape to complete and utter relaxation. Westin Mission Hills Rancho Mirage features some of the most majestic views you could possibly ask for right outside of your door! It’s a golfer’s paradise with everything to show for it; in fact, Westin Mission Hills was listed as one of Golf Digest’s Top 75 Golf Resorts in North America. Enjoy acres of wonderful fairways, roughs, and greens peppered with lush desert trees in front of a magical backdrop of the Mt. San Jacinto. If you’re taking the family with you on a much needed break from everyday life or you’re looking to venture to peaceful solitude with your significant other, Westin Rancho Mirage is your kind of place. The little ones will love the Kids Club Discovery Room and the Kids Night out events while parents enjoy a night out at the Fireside Lounge or at the excellent Pinzimini Restaurant. Meet up together at the cabanas by the pool and watch the beautiful California sunset as you sip cocktails and take in the wonderful desert views. Don’t wait! Start your vacation today by calling us at 1-877-815-4227 or filling out the form on the right for more information. When you purchase a Westin Mission Hills timeshare resale, you’re purchasing directly from the current owner at a fair price based on the trends of the current resale market. You won’t have to run the risk of acquiring hidden fees or commissions tacked on by the developer. To accommodate flexibility and stability, Westin offers fixed or floating weeks in the Silver, Gold, and Platinum vacation seasons. Resorts can be used annually or biennially depending on the ownership you choose. 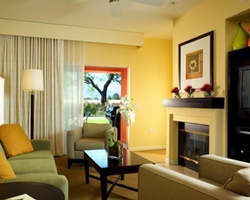 Your vacation to Westin Mission Hills Resort Villas can be completely adaptable to your vacationing abilities! Westin resorts is one of three resort brands that is officially within the Starwood Vacation Ownership resort brand. Starwood properties are some of the most thriving timeshares in the current market today. Starwood is dedicated to resorts with luxurious atmospheres at cost-efficient prices, making the Westin Mission Hills Resort Villas a one-of-a-kind property that is very valuable on the market. Learn more at our Starwood Information Center. One of the most celebrated perks of being a Westin Mission Hills timeshare owner is the ability to exchange your timeshare week for access to over 2,900 resorts in 80 countries. This can all be yours by purchasing Westin’s external timeshare exchange company affiliate, Interval International. Luckily for Westin Mission Hills Golf Resort & Spa owners, the resort has been honored with the highest rank within the II system—the Interval International Premier Resort. This allows owners to submit their timeshare and be able to access virtually any resort in the exchange pool for a special one-off vacation. Outside of the Westin Mission Hills Resort, the Rancho Mirage/Palm Springs area is absolutely gorgeous. There are many ways to tour the surrounding area to marvel its beauty, whether by jeep, hummer, or big wheel bikes. Plenty of hiking opportunities like the Bump and Grind Trail and the Indian Canyons are nearby for those looking for an on-foot adventure. 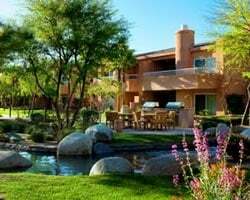 Westin Rancho Mirage is also near Joshua Tree, one of the most famous, celebrated national parks in the country. For those looking to stay closer to the resort, the Westin Mission Hills Resort Villas offers plenty of wonderfully accommodating on-site amenities including three large pools with cabanas and bars, jacuzzis, and a spa. Happy hour is featured every Friday and Saturday and live entertainment runs all afternoon on Saturdays. Westin Mission Hills also features some amazing tennis courts; the resort was also recognized as one of the top 100 Tennis Resorts in the World by Tennis Resorts Online!